This week my colleague and friend Rachael Hempling, Barrister and Mediator shares her reflections after the two of us had the opportunity to spend a day with the ever amazing entrepreneur Lisa Messenger. I have followed Lisa for a number of years now and have learnt a lot from her approach to business and the chance to hang out with her for a full day earlier this year provided much inspiration for the business year ahead. You might think what could lawyers learn from a magazine publisher but let me tell you we learnt a lot that day as Rachael shares below. Last Month I attended the most inspirational and mind blowing day at the ‘Daring and Disruptive Workshop’, with Lisa Messenger, the founding genius behind the “Collective Hub.” Lisa is unapologetically raw and honest about her journey, yet manages to flip everything around to a positive even when talking the challenges and heartbreaking moments’ that she has faced. Attending her workshop was an absolute game changer for me. It couldn’t have come at a better time, as I prepare to pave a new path. She unapologetically challenged me to reflect where I am, yet inspired me to forge forward into the brave new world of entrepreneurship and innovation. So with my mind still buzzing with ideas, I thought I’d share my 5 top takeaways with you, as they were so powerful and incredibly thought provoking. 1. Build like-minded non-competing relationships and networks. You are likely to have a very similar client base, but are not in direct competition for the goods or services you are providing. For example, if you are a small boutique law firm specialising in conveyancing, you might want to partner or build relationships with a local boutique real estate agent. You are likely to be more aligned from an ethos point of view rather than targeting the larger nationwide agents where there may be referral policies in place. 2. Stop seeking validation from external parties. ‘Haters gonna hate’, but you don’t need to listen to them. Be bold, be brave and have the confidence to believe in what you are doing or creating. There will always be people saying, ‘that won’t work’ or ‘that’s a bad idea’. Don’t listen to those nay-sayers and flip that negative energy around. Grow and be comfortable in the knowledge that these are not your people! All of Lisa’s staff now have ‘skin in the game’. The more they sell, book or produce the more financial reward they receive. It makes sense, right? Your staff help you grow and expand your business in exchange for maximising their pay packets. Win win! It also has the added benefit of assisting you scale up or scale down and as the market shifts and changes. 4. When building networks & partnerships think about a 'value-added exchange'. So don’t approach people, influencers or potential partners with the notion of ‘what can you do for me’, as it won’t be conducive to opening a line of conversation or developing a working relationship. Think of what you might be able to add to their business in exchange for what they add to yours. For example, you could offer to showcase that Boutique Real Estate Agent in your latest blog in order to open up a line of conversation about referrals. 5. Take off the "Busy Badge"! Most of us go through life being overwhelmed and telling people how ‘busy we are’. Wearing it like a badge of honour. Take it off, slow down and learn to rest, be still and breathe. Some people can continue running at an exhausting pace, but it can and does catch up with you. So do the work you love, but learn to schedule time out to rest as well. You are your greatest resource so be kind to yourself. Rachael Hempling is a barrister and mediator from French Quarter Chamber on the Gold Coast. 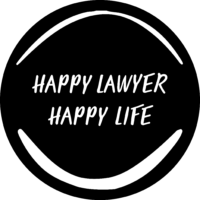 She is a proud member of the “Happy Lawyer Happy Life Club” and is soon to release her first digital course, ‘The Online Family Separation Course’.